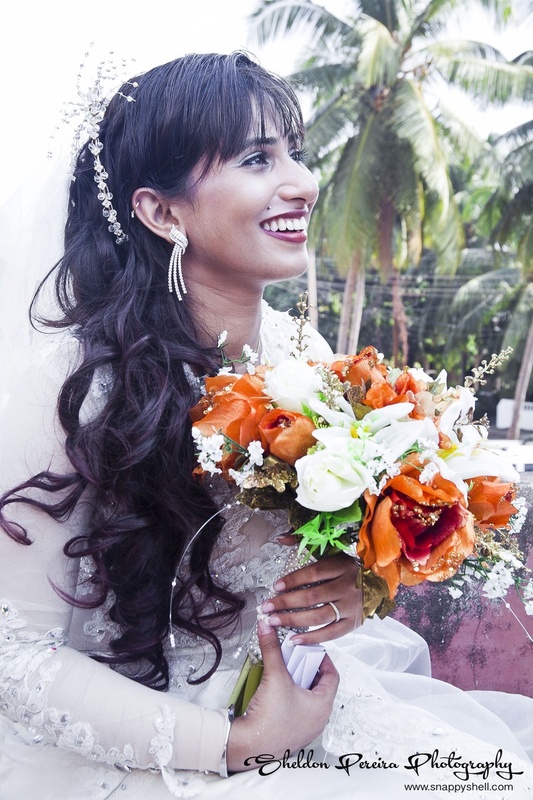 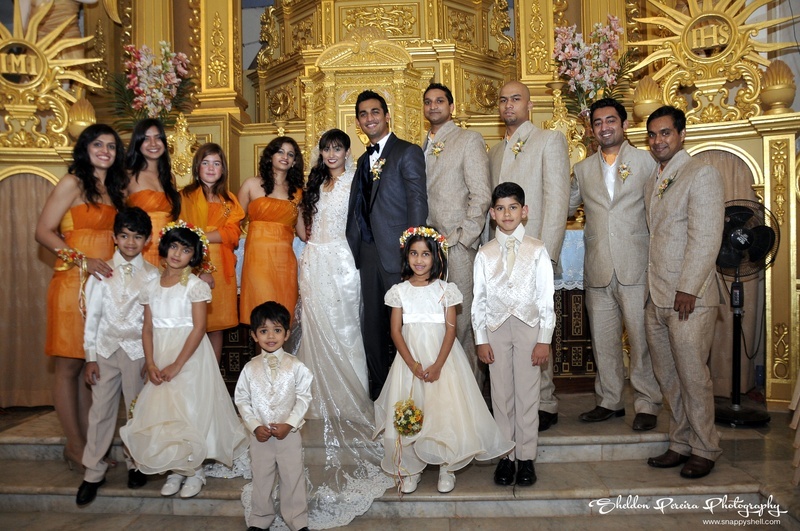 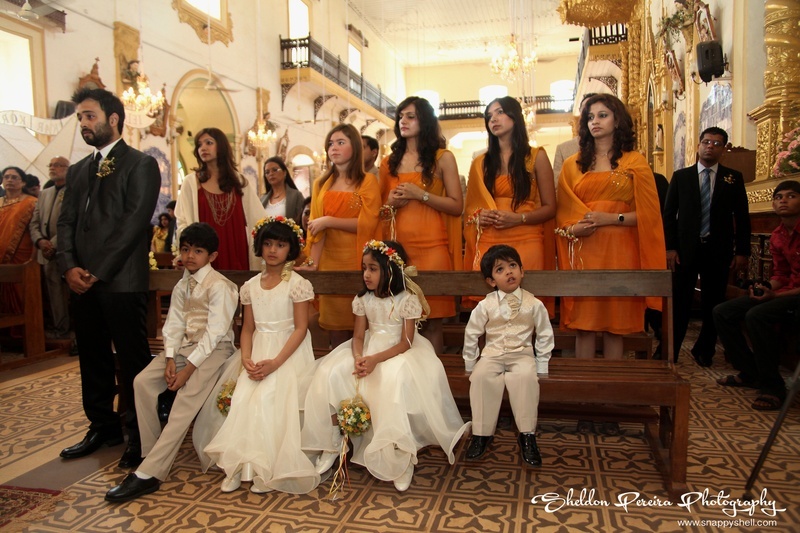 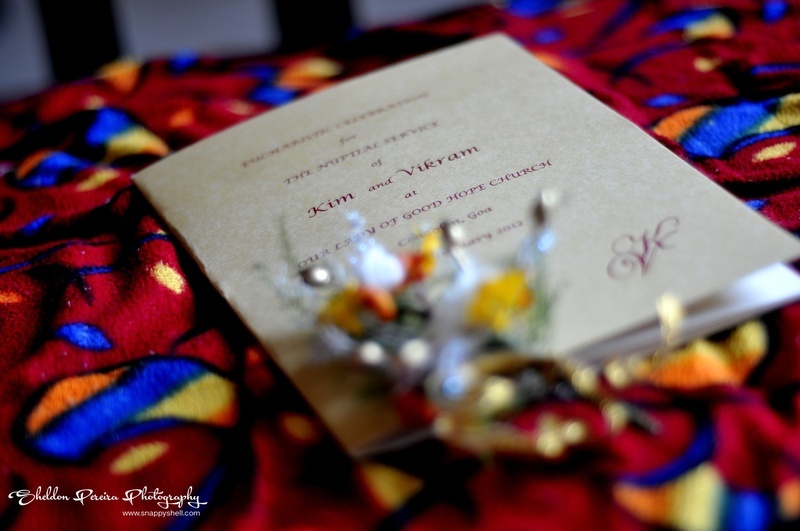 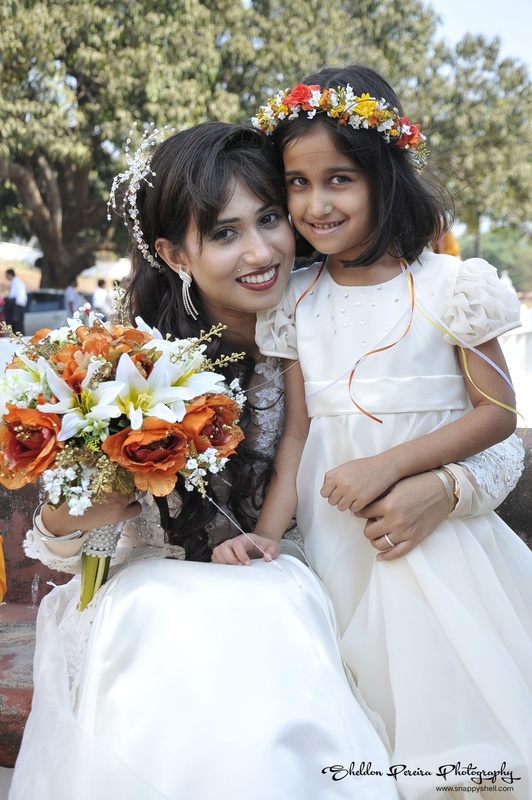 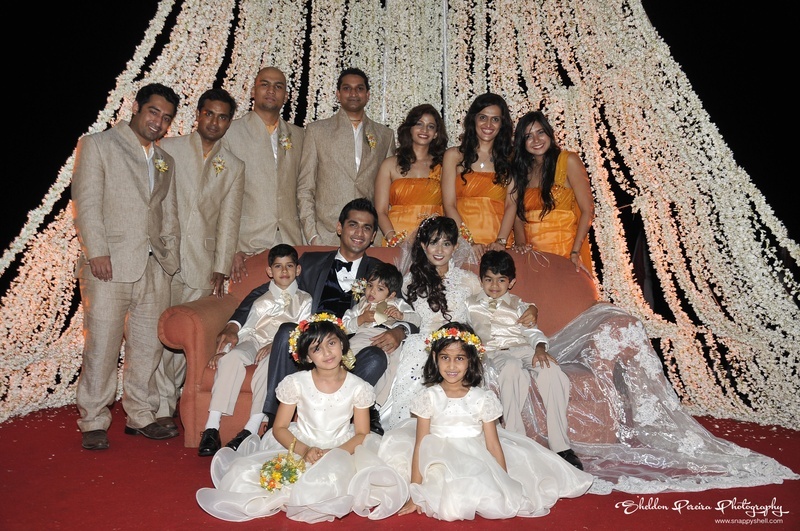 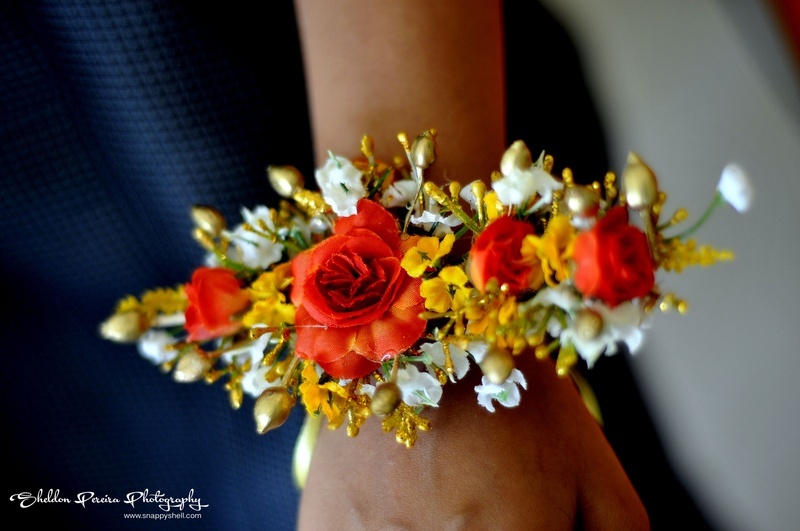 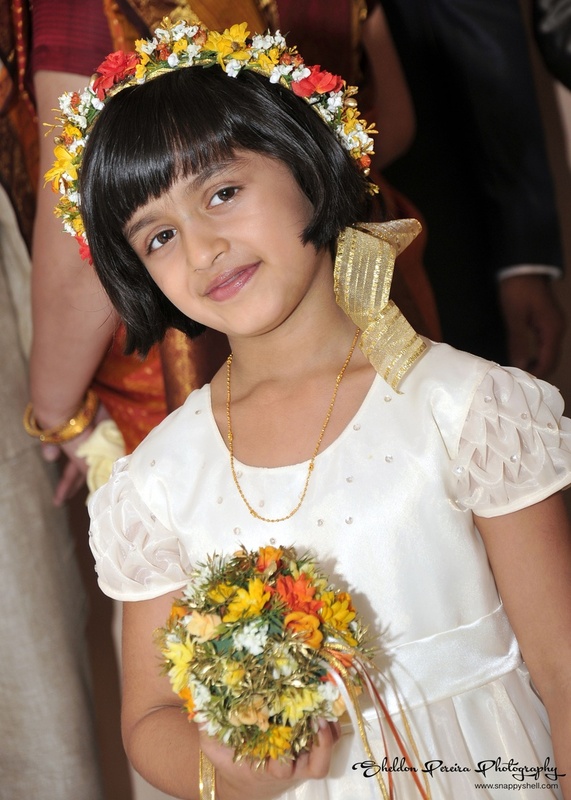 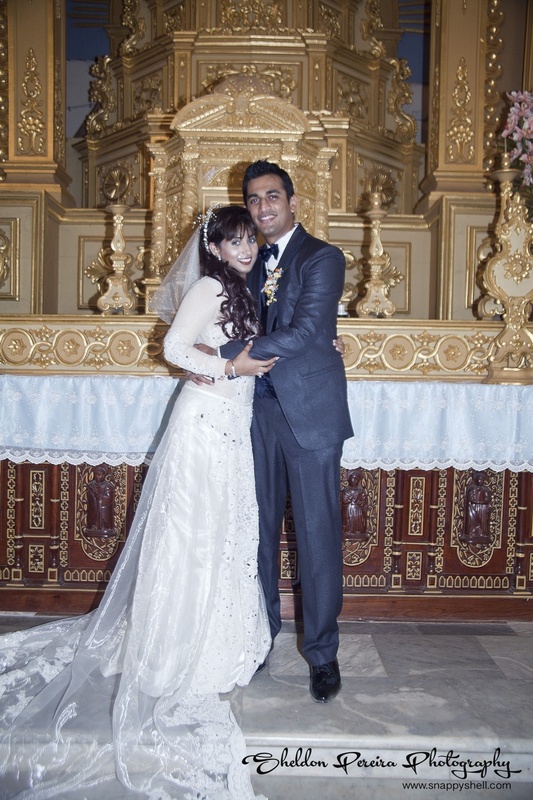 Kim and Vikram’s Catholic marriage featured an all-over combination of orange and white, from the bridesmaid dresses to the bouquets, and the decor. 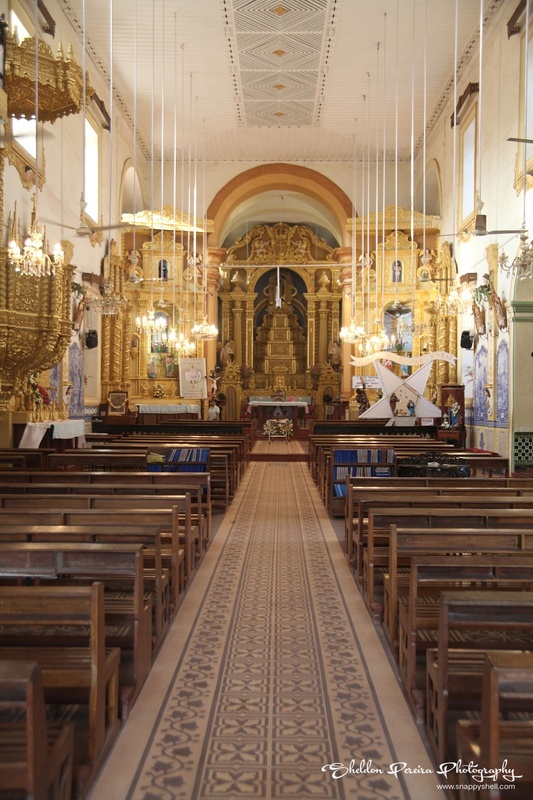 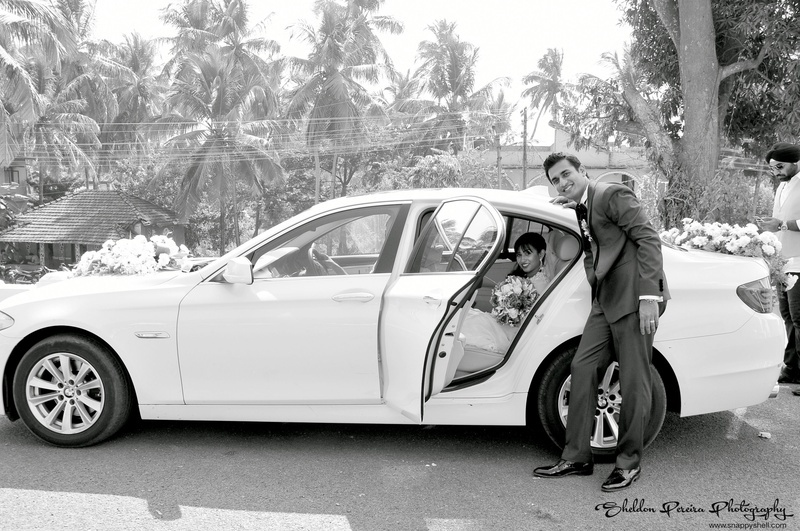 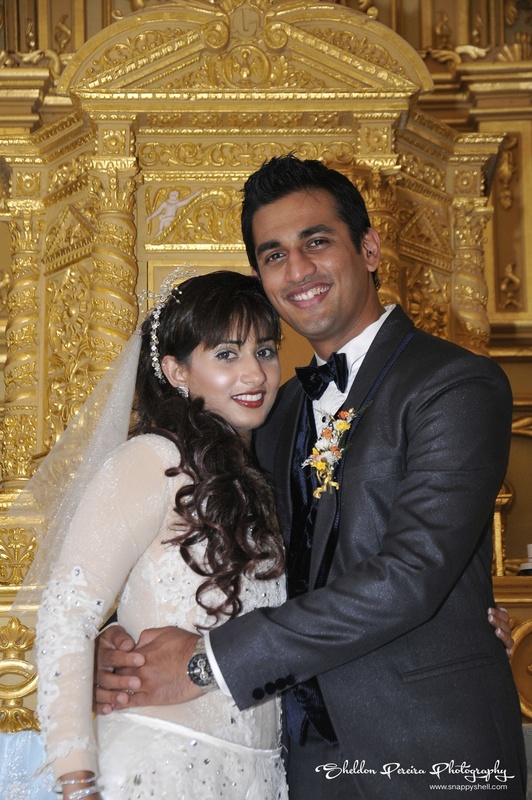 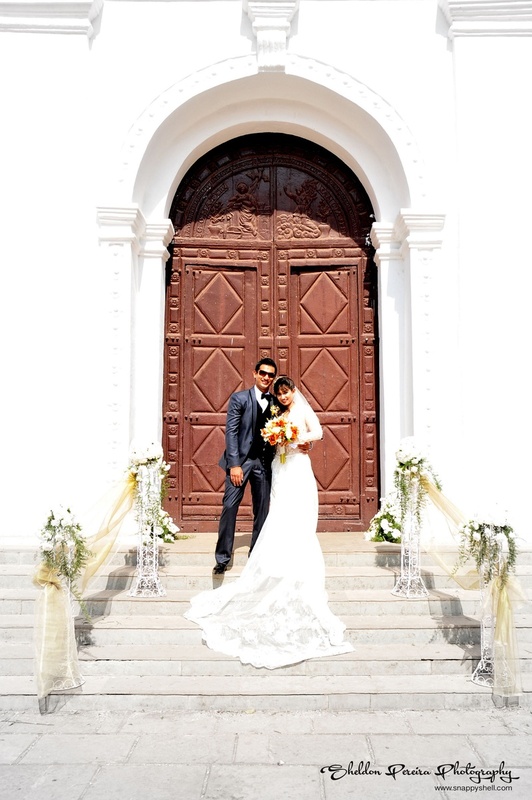 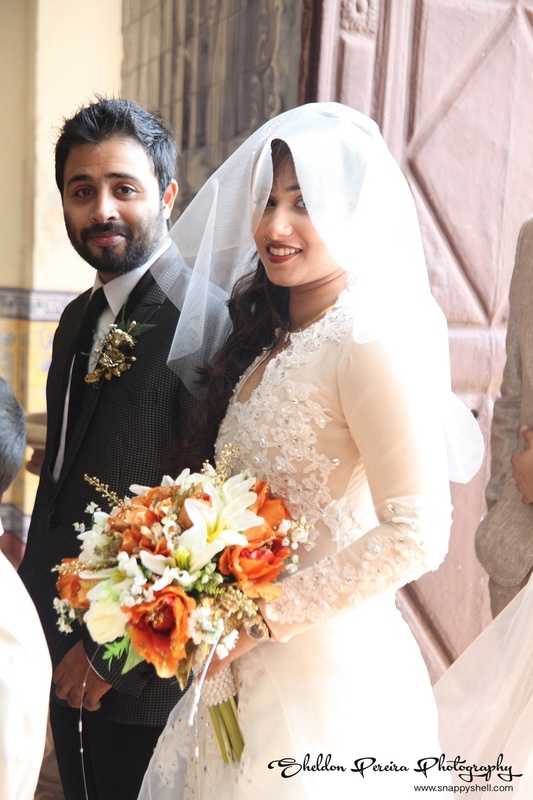 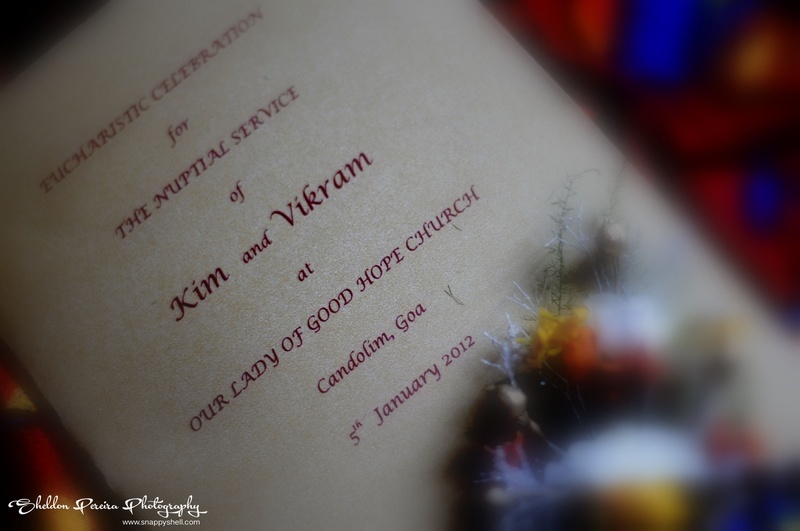 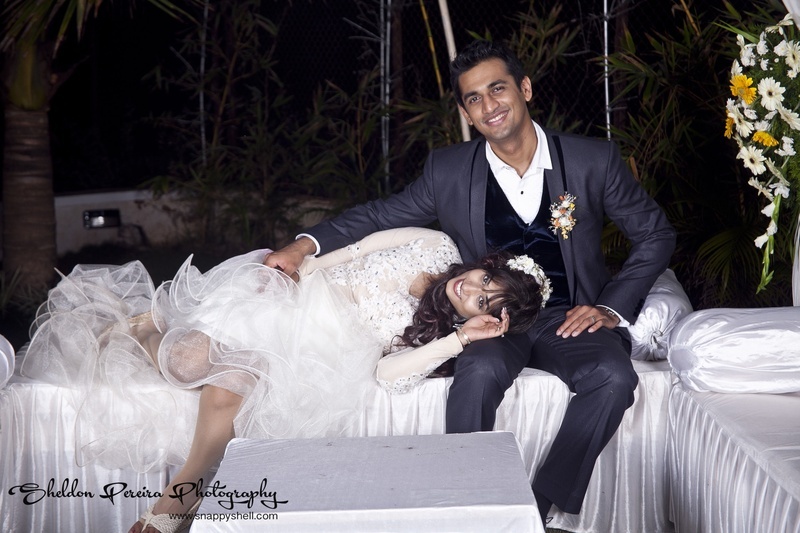 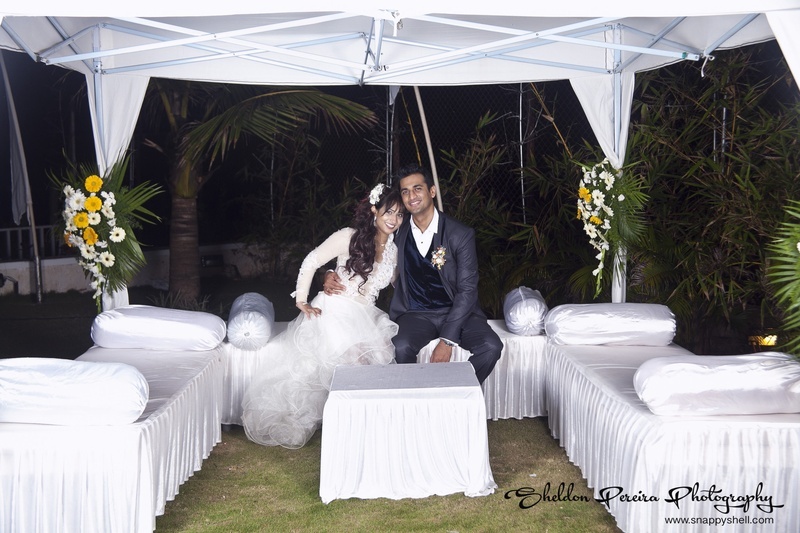 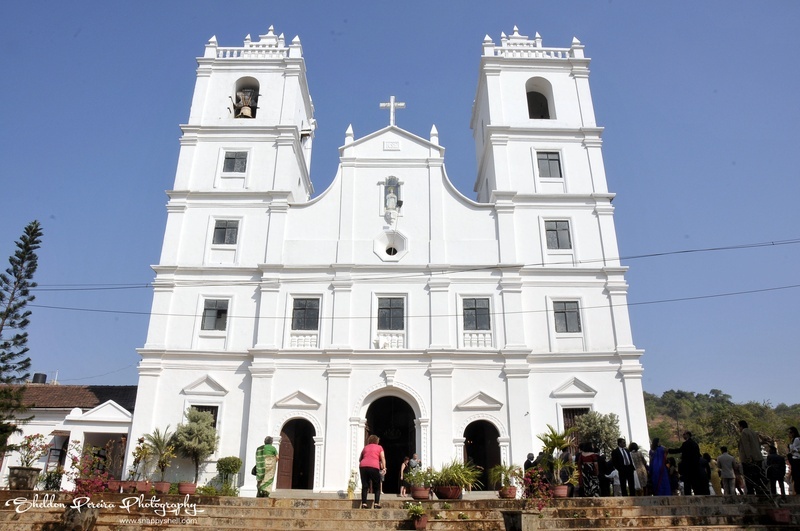 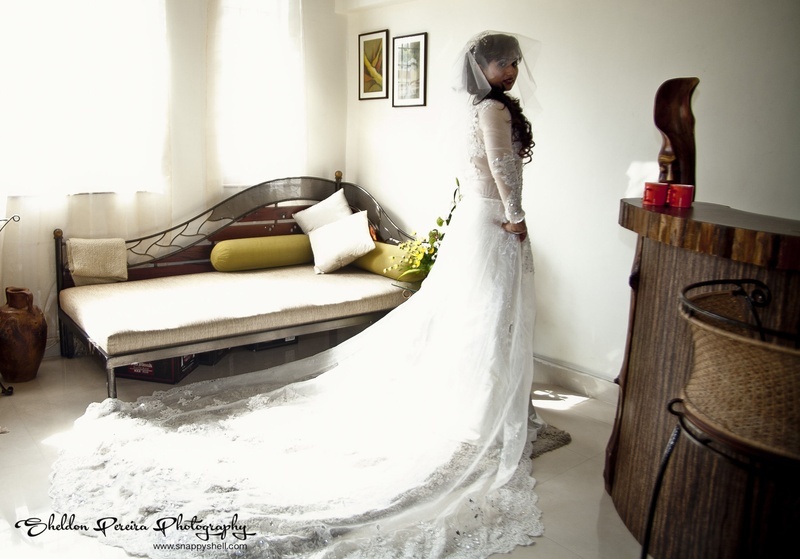 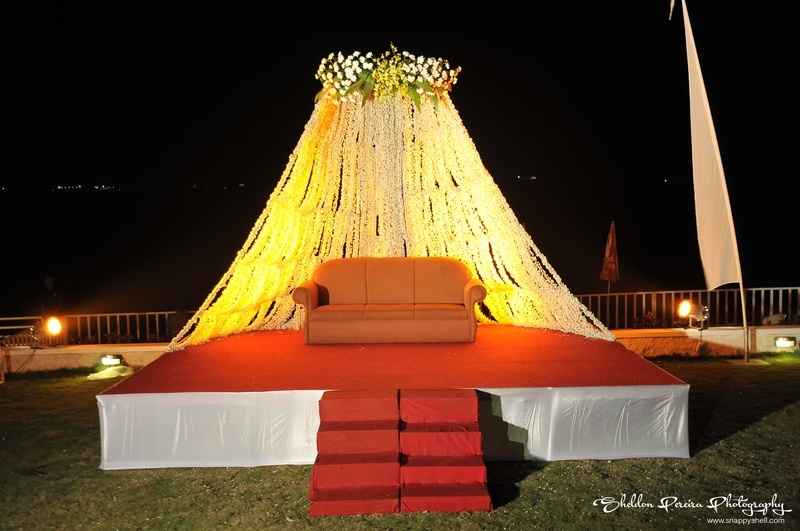 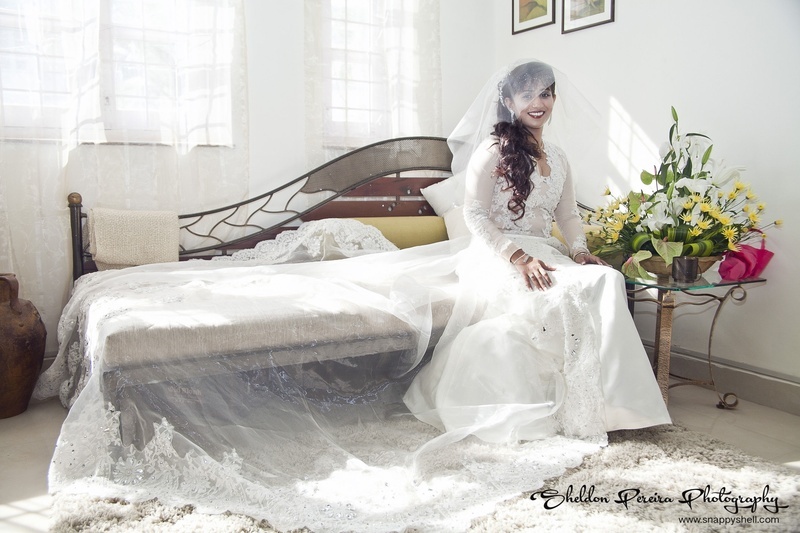 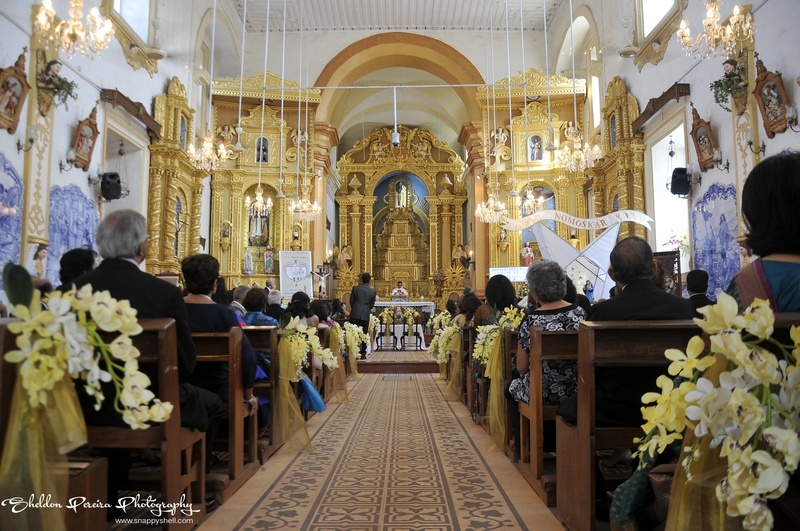 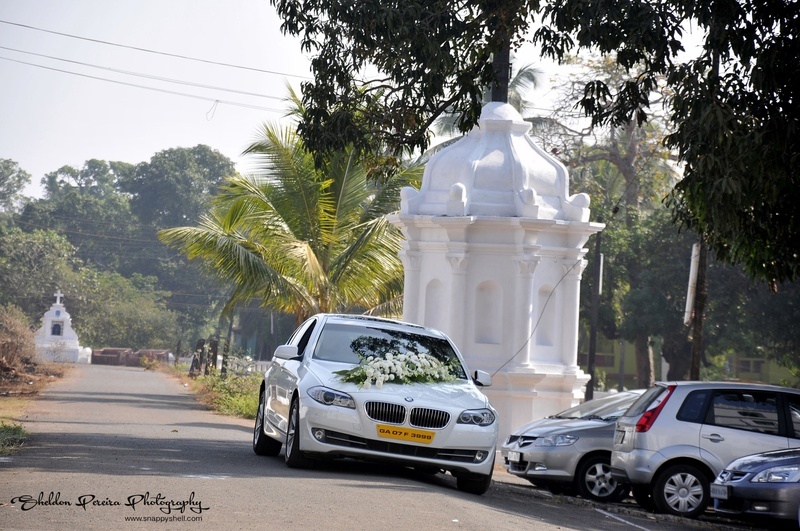 The Eucharistic celebration of their nuptial service was held at Our Lady Of Good Hope Church in Candolim, Goa. 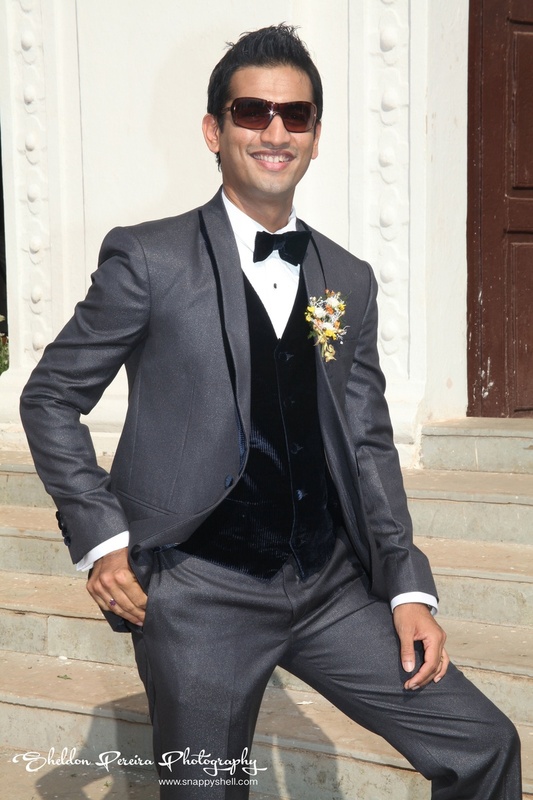 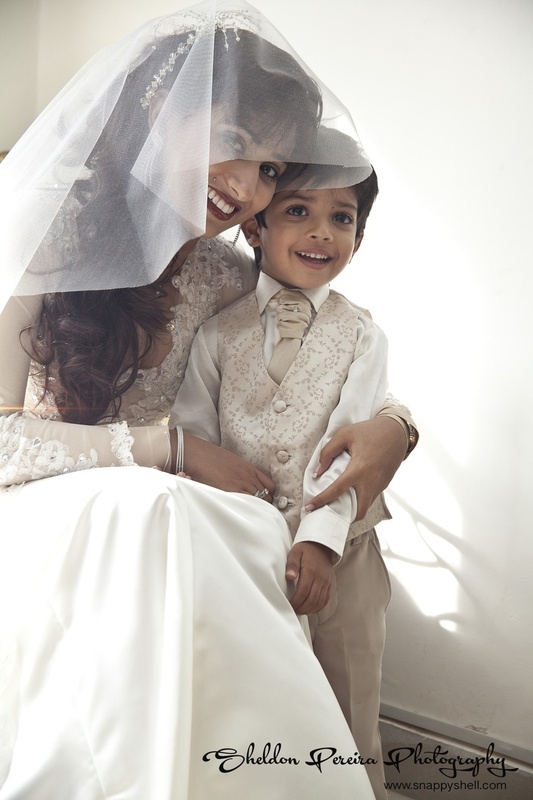 Wearing a phenomenal Princess-like gown with a large lace trail, Kim walked down the aisle, towards Vikram – who stood there wearing a black tuxedo, adorning a bow-tie and a floral boutonniere. 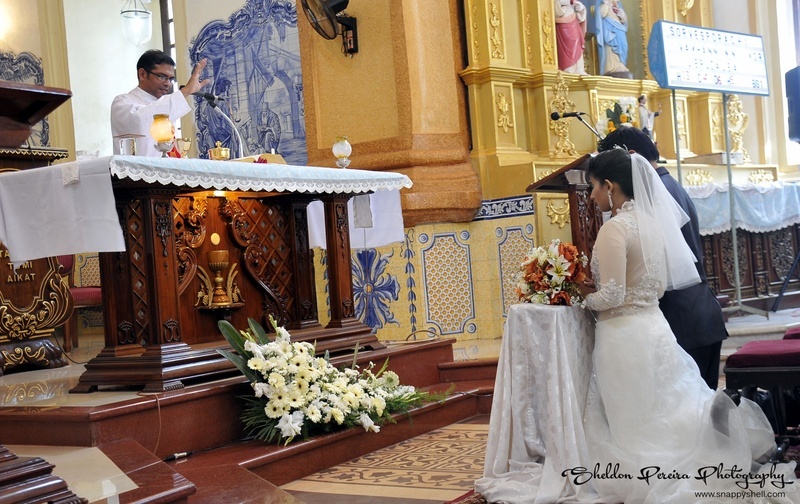 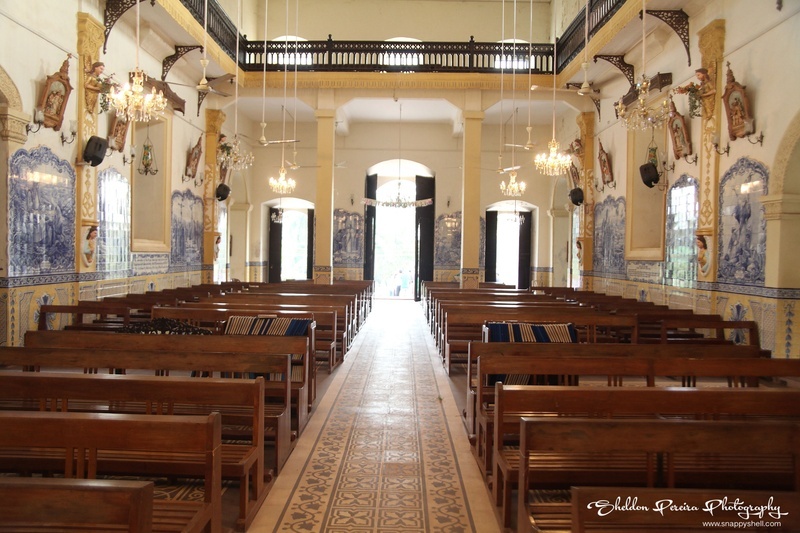 The couple knelt down before the Priest to seek blessings from him and God as they joined in the union of marriage and vowed to love each other forever. 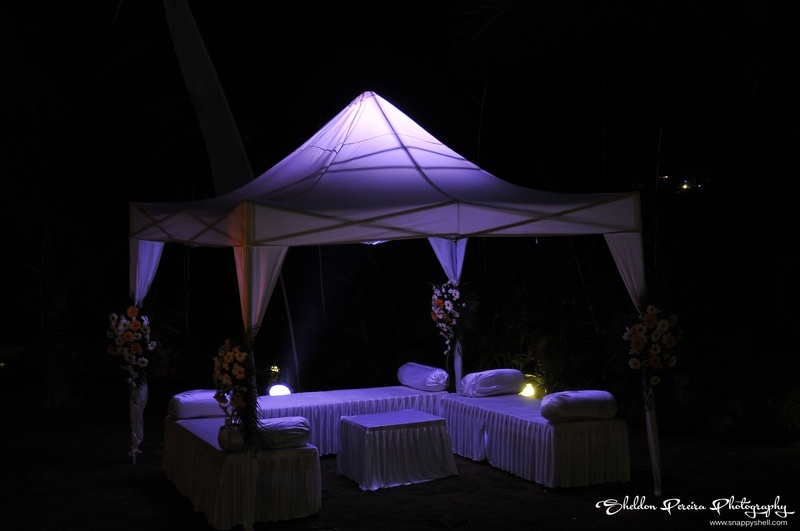 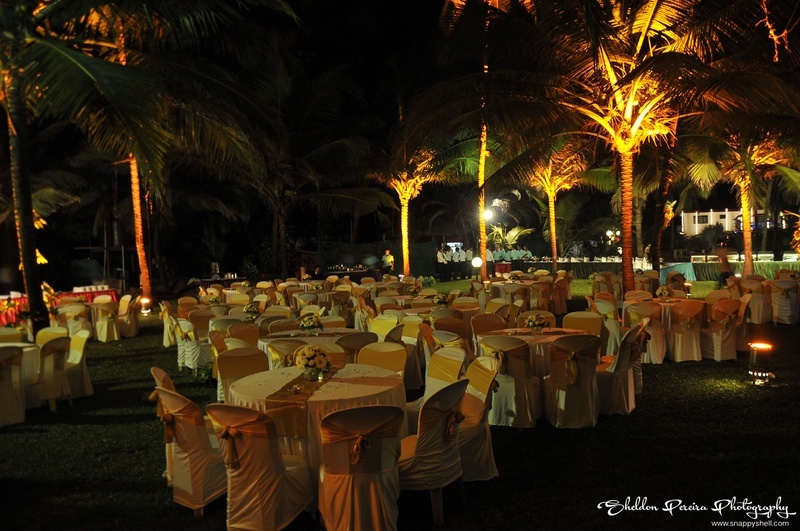 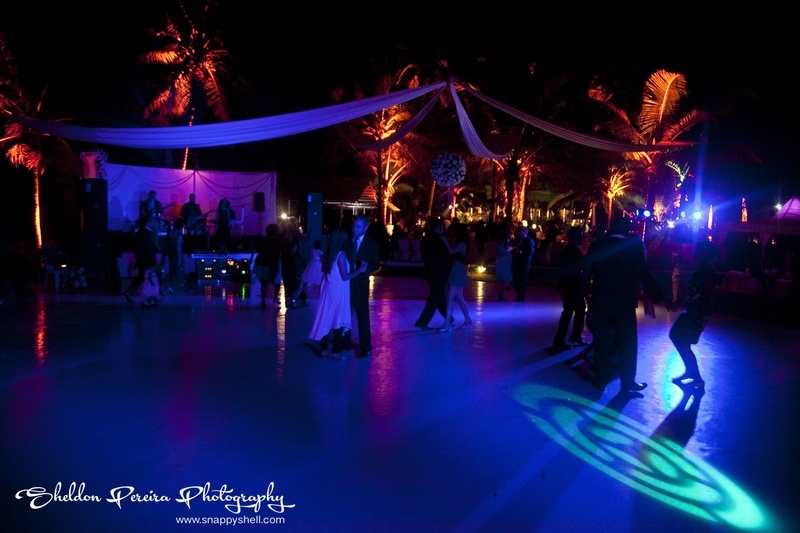 They then went on to their wedding reception which was set up with a stunningly lit cabana and a dedicated dancing area with party lighting to celebrate the newlyweds. 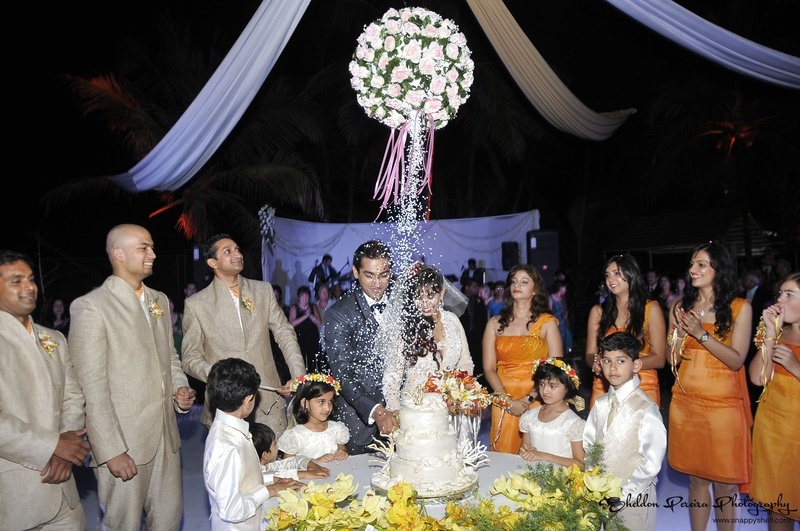 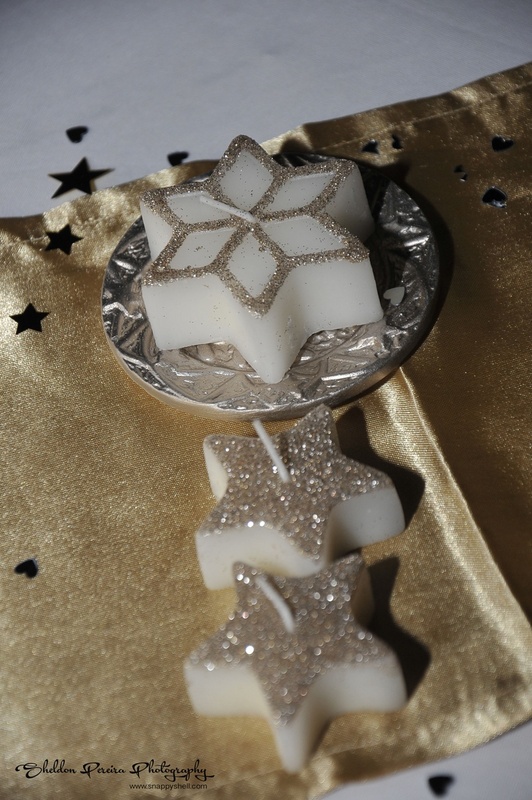 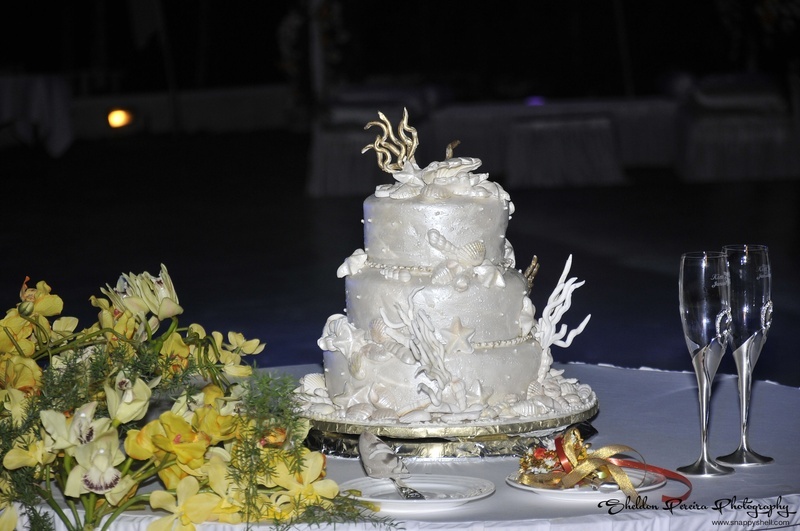 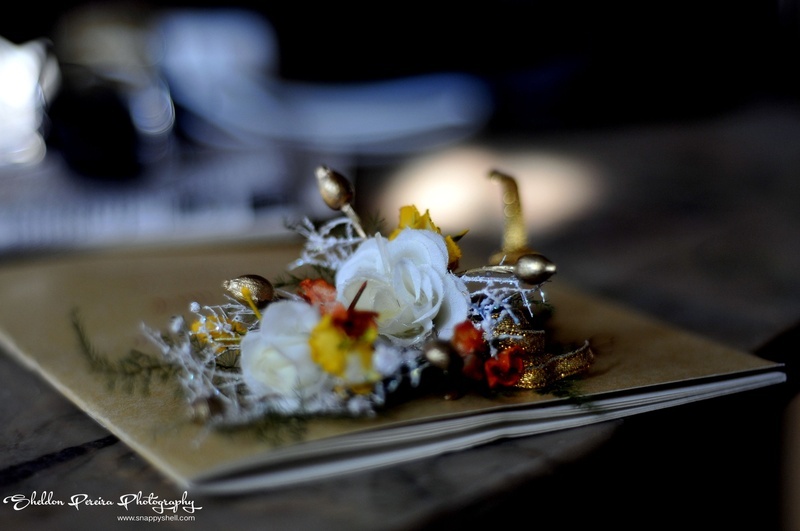 The bride and the groom raised a romantic toast to each other - Sparkles popped and confetti showered from the floral pomander centerpiece suspended above, as soon as the couple cut their wedding cake. 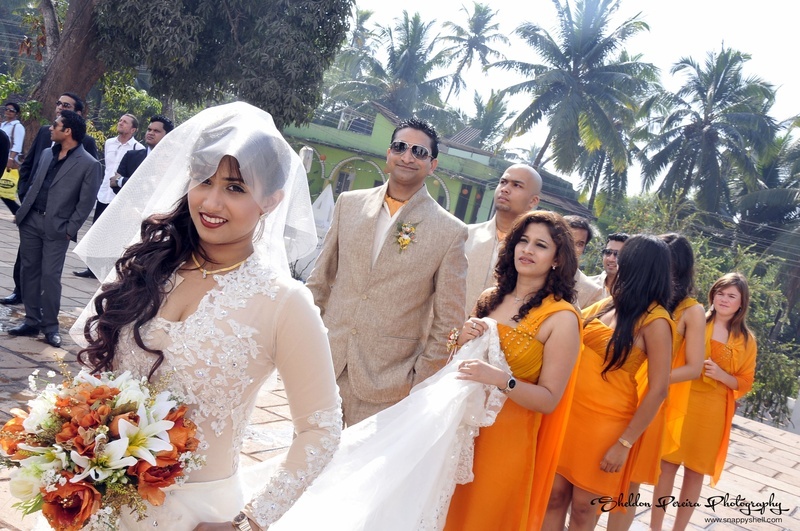 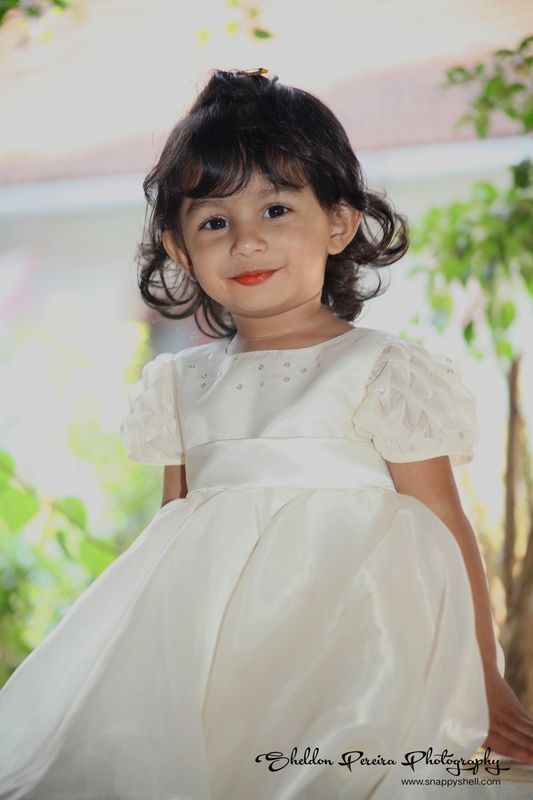 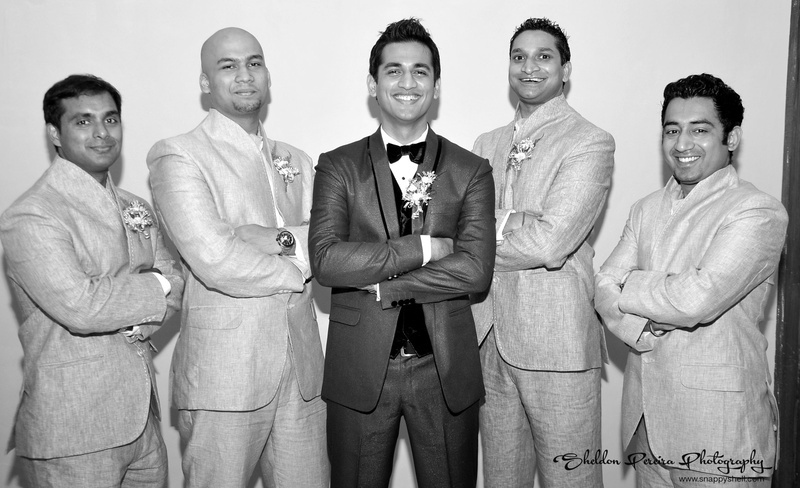 The groomsmen looked dashing in their beige suits featuring an orange bowtie and the girls looked ravishing in their match-to-theme bridesmaid dresses.